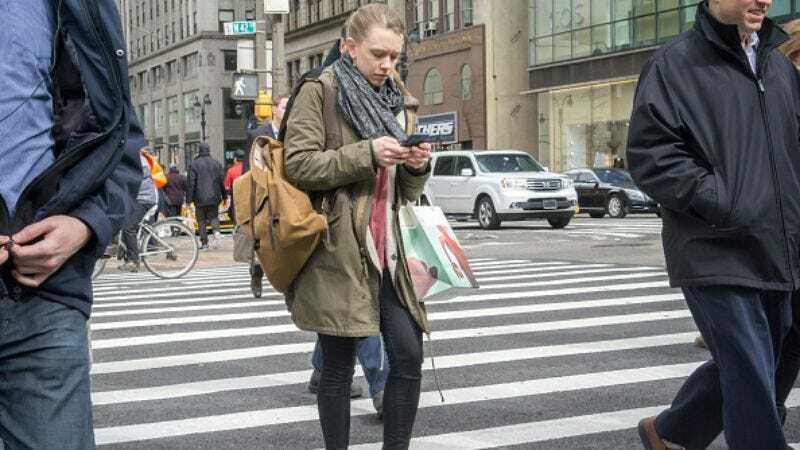 The machines have struck another blow against humanity, as CNN reports the number of pedestrian fatalities has greatly increased—and it could be thanks to our smartphones. The Governors Highway Safety Association has compiled data from 50 state highway safety offices, as well as the District of Columbia. And it estimates there were 6,000 pedestrian deaths in the first six months of 2016. That number is the highest it’s been in more than 20 years, and while our technology addiction hasn’t been confirmed as the culprit, it’s almost certainly a factor. CNN does note that most pedestrian fatalities happen at night, in vehicle-only parts of the road; only one in five occur at intersections, but we should probably still look up directions or fire off that text before heading out.